Gardengate Floral delivers the freshest flowers and brightest smiles! We're your friendly, full-service flower and gift shop proudly serving Battle Mountain, Nevada and the surrounding area. Our highly-trained staff is ready to assist you with placing orders for local delivery or anywhere in the world. Not sure of what to send? We'll gladly help you with creative suggestions! Whatever the occasion, let our talented designers create your fabulous floral arrangements. Choose from several traditional floral design styles that are perfect for everyday…birthdays, get well, anniversaries or just thinking of you. When you’re looking for something special, Gardengate Floral has just what you need! 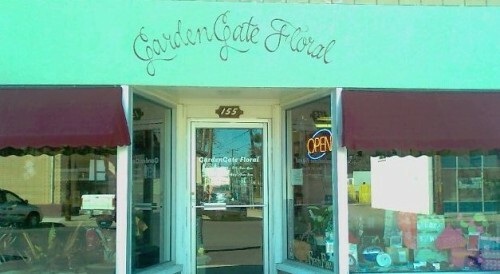 Gardengate Floral is conveniently located at 155 South Reese Street in Battle Mountain, NV. We are open to serve your floral and gift giving needs from Monday through Saturday, and we offer convenient delivery service to all local hospitals and funeral homes. What about wedding flowers? Call us in advance to set up an appointment with one of our expert wedding consultants. We will help you plan a truly magical event with gorgeous, unforgettable flowers. 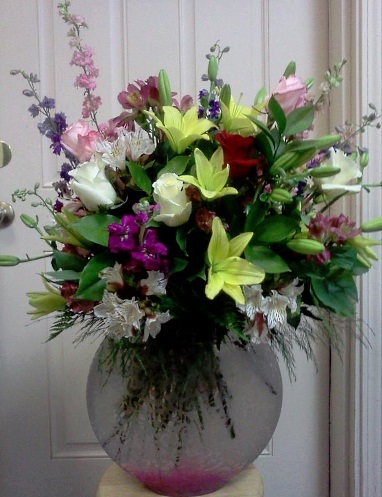 Ask our staff about customizing your sympathy floral tribute for a special friend or loved one. You can depend on us to help you choose flowers that beautifully convey your expressions of sympathy and serve as a lovely memorial to the deceased. Our vast giftware collection includes "Kitty's Critters" - ceramic frogs, cats, geckos, etc., "BearFoot Bears" figurines from Big Sky Carvers, "Country Bumpkin" candles, assorted balloons for all occasions, premium seasonal chocolates, ceramics, home décor, Time and Again Candles, Magnetic Jewelry and more! We also offer Webkinz - Plush animals that come complete with a secret code that lets you enter a virtual Webkinz World. Children can name their new friend and create a virtual environment. Browse our assortment of green plants, dish gardens and blooming plants for a wonderful gift that brings life to any room or office. Consider sending a fruit and gourmet basket from Gardengate Floral – a fantastic & tasty surprise anytime of year.